Exposure to ionizing radiation is known to increase the future incidence of cancer, particularly leukemia. The mechanism by which this occurs is well understood, but quantitative models predicting the level of risk remain controversial. The most widely accepted model posits that the incidence of cancers due to ionizing radiation increases linearly with effective radiation dose at a rate of 5.5% per sievert. If the linear model is correct, then natural background radiation is the most hazardous source of radiation to general public health, followed by medical imaging as a close second. The sievert is a derived unit of ionizing radiation dose in the International System of Units (SI) and is a measure of the health effect of low levels of ionizing radiation on the human body. The sievert is of importance in dosimetry and radiation protection, and is named after Rolf Maximilian Sievert, a Swedish medical physicist renowned for work on radiation dose measurement and research into the biological effects of radiation. According to the prevalent model, any radiation exposure can increase the risk of cancer. Typical contributors to such risk include natural background radiation, medical procedures, occupational exposures, nuclear accidents, and many others. Some major contributors are discussed below. Radon is a radioactive, colorless, odorless, tasteless noble gas, occurring naturally as the decay product of radium. It is one of the densest substances that remains a gas under normal conditions, and is considered to be a health hazard due to its radioactivity. Its most stable isotope, 222Rn, has a half-life of 3.8 days. Due to its high radioactivity, it has been less well-studied by chemists, but a few compounds are known. Epidemiological evidence shows a clear link between lung cancer and high concentrations of radon, with 21,000 radon-induced U.S. lung cancer deaths per year—second only to cigarette smoking—according to the United States Environmental Protection Agency. Thus in geographic areas where radon is present in heightened concentrations, radon is considered a significant indoor air contaminant. In industrialized countries, Medical imaging contributes almost as much radiation dose to the public as natural background radiation. Collective dose to Americans from medical imaging grew by a factor of six from 1990 to 2006, mostly due to growing use of 3D scans that impart much more dose per procedure than traditional radiographs. CT scans alone, which account for half the medical imaging dose to the public, are estimated to be responsible for 0.4% of current cancers in the United States, and this may increase to as high as 1.5-2% with 2007 rates of CT usage;  however, this estimate is disputed. 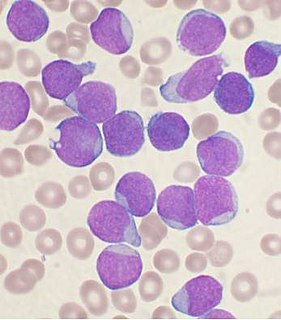 Other nuclear medicine techniques involve the injection of radioactive pharmaceuticals directly into the bloodstream, and radiotherapy treatments deliberately deliver lethal doses (on a cellular level) to tumors and surrounding tissues. In accordance with ICRP recommendations, most regulators permit nuclear energy workers to receive up to 20 times more radiation dose than is permitted for the general public. Higher doses are usually permitted when responding to an emergency. The majority of workers are routinely kept well within regulatory limits, while a few essential technicians will routinely approach their maximum each year. Accidental overexposures beyond regulatory limits happen globally several times a year. Astronauts on long missions are at higher risk of cancer, see cancer and spaceflight. Nuclear accidents can have dramatic consequences to their surroundings, but their global impact on cancer is less than that of natural and medical exposures. The most severe nuclear accident is probably the Chernobyl disaster. In addition to conventional fatalities and acute radiation syndrome fatalities, nine children died of thyroid cancer, and it is estimated that there may be up to 4,000 excess cancer deaths among the approximately 600,000 most highly exposed people. Of the 100 million curies (4 exabecquerels) of radioactive material, the short lived radioactive isotopes such as 131I Chernobyl released were initially the most dangerous. Due to their short half-lives of 5 and 8 days they have now decayed, leaving the more long-lived 137Cs (with a half-life of 30.07 years) and 90Sr (with a half-life of 28.78 years) as main dangers. Cancer is a stochastic effect of radiation, meaning that the probability of occurrence increases with effective radiation dose, but the severity of the cancer is independent of dose. The speed at which cancer advances, the prognosis, the degree of pain, and every other feature of the disease are not functions of the radiation dose to which the person is exposed. This contrasts with the deterministic effects of acute radiation syndrome which increase in severity with dose above a threshold. Cancer starts with a single cell whose operation is disrupted. Normal cell operation is controlled by the chemical structure of DNA molecules, also called chromosomes. When radiation deposits enough energy in organic tissue to cause ionization, this tends to break molecular bonds, and thus alter the molecular structure of the irradiated molecules. Less energetic radiation, such as visible light, only causes excitation, not ionization, which is usually dissipated as heat with relatively little chemical damage. Ultraviolet light is usually categorized as non-ionizing, but it is actually in an intermediate range that produces some ionization and chemical damage. Hence the carcinogenic mechanism of ultraviolet radiation is similar to that of ionizing radiation. Unlike chemical or physical triggers for cancer, penetrating radiation hits molecules within cells randomly. [note 1] Molecules broken by radiation can become highly reactive free radicals that cause further chemical damage. Some of this direct and indirect damage will eventually impact chromosomes and epigenetic factors that control the expression of genes. Cellular mechanisms will repair some of this damage, but some repairs will be incorrect and some chromosome abnormalities will turn out to be irreversible. 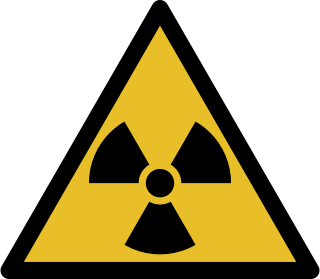 A latent period of decades may elapse between radiation exposure and the detection of cancer. Those cancers that may develop as a result of radiation exposure are indistinguishable from those that occur naturally or as a result of exposure to other carcinogens. Furthermore, National Cancer Institute literature indicates that chemical and physical hazards and lifestyle factors, such as smoking, alcohol consumption, and diet, significantly contribute to many of these same diseases. Evidence from uranium miners suggests that smoking may have a multiplicative, rather than additive, interaction with radiation. Evaluations of radiation's contribution to cancer incidence can only be done through large epidemiological studies with thorough data about all other confounding risk factors. Radiation exposure can cause cancer in any living tissue, but high-dose whole-body external exposure is most closely associated with leukemia,  reflecting the high radiosensitivity of bone marrow. Internal exposures tend to cause cancer in the organs where the radioactive material concentrates, so that radon predominantly causes lung cancer, iodine-131 for thyroid cancer is most likely to cause leukemia. 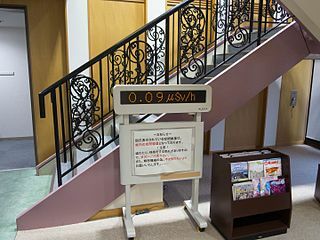 The associations between ionizing radiation exposure and the development of cancer are based primarily on the "LSS cohort" of Japanese atomic bomb survivors, the largest human population ever exposed to high levels of ionizing radiation. However this cohort was also exposed to high heat, both from the initial nuclear flash of infrared light and following the blast due their exposure to the firestorm and general fires that developed in both cities respectively, so the survivors also underwent Hyperthermia therapy to various degrees. Hyperthermia, or heat exposure following irradiation is well known in the field of radiation therapy to markedly increase the severity of free-radical insults to cells following irradiation. Presently however no attempts have been made to cater for this confounding factor, it is not included or corrected for in the dose-response curves for this group. Additional data has been collected from recipients of selected medical procedures and the 1986 Chernobyl disaster. 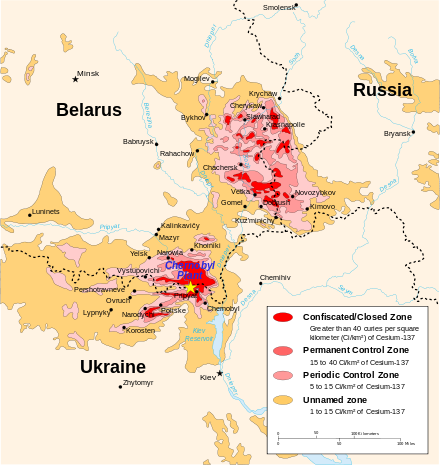 There is a clear link (see the UNSCEAR 2000 Report, Volume 2: Effects) between the Chernobyl accident and the unusually large number, approximately 1,800, of thyroid cancers reported in contaminated areas, mostly in children. For low levels of radiation, the biological effects are so small they may not be detected in epidemiological studies. Although radiation may cause cancer at high doses and high dose rates, public health data regarding lower levels of exposure, below about 10 mSv (1,000 mrem), are harder to interpret. To assess the health impacts of lower radiation doses, researchers rely on models of the process by which radiation causes cancer; several models that predict differing levels of risk have emerged. Alternative assumptions for the extrapolation of the cancer risk vs. radiation dose to low-dose levels, given a known risk at a high dose: supra-linearity (A), linear (B), linear-quadratic (C) and hormesis (D). In all three cases, the values of alpha and beta must be determined by regression from human exposure data. Laboratory experiments on animals and tissue samples is of limited value. Most of the high quality human data available is from high dose individuals, above 0.1 Sv, so any use of the models at low doses is an extrapolation that might be under-conservative or over-conservative. There is not enough human data available to settle decisively which of these model might be most accurate at low doses. The consensus has been to assume linear no-threshold because it the simplest and most conservative of the three. Radiation hormesis is the conjecture that a low level of ionizing radiation (i.e., near the level of Earth's natural background radiation) helps "immunize" cells against DNA damage from other causes (such as free radicals or larger doses of ionizing radiation), and decreases the risk of cancer. The theory proposes that such low levels activate the body's DNA repair mechanisms, causing higher levels of cellular DNA-repair proteins to be present in the body, improving the body's ability to repair DNA damage. This assertion is very difficult to prove in humans (using, for example, statistical cancer studies) because the effects of very low ionizing radiation levels are too small to be statistically measured amid the "noise" of normal cancer rates. Low-dose exposures, such as living near a nuclear power plant or a coal-fired power plant, which has higher emissions than nuclear plants, are generally believed to have no or very little effect on cancer development, barring accidents. Greater concerns include radon in buildings and overuse of medical imaging. The International Commission on Radiological Protection (ICRP) recommends limiting artificial irradiation of the public to an average of 1 mSv (0.001 Sv) of effective dose per year, not including medical and occupational exposures. For comparison, radiation levels inside the US capitol building are 0.85 mSv/yr, close to the regulatory limit, because of the uranium content of the granite structure. According to the ICRP model, someone who spent 20 years inside the capitol building would have an extra one in a thousand chance of getting cancer, over and above any other existing risk. (20 yr X 0.85 mSv/yr X 0.001 Sv/mSv X 5.5%/Sv = ~0.1%) That "existing risk" is much higher; an average American would have a one in ten chance of getting cancer during this same 20-year period, even without any exposure to artificial radiation. Internal exposure of the public is controlled by regulatory limits on the radioactive content of food and water. These limits are typically expressed in becquerel/kilogram, with different limits set for each contaminant. Although radiation was discovered in late 19th century, the dangers of radioactivity and of radiation were not immediately recognized. Acute effects of radiation were first observed in the use of X-rays when Wilhelm Röntgen intentionally subjected his fingers to X-rays in 1895. He published his observations concerning the burns that developed, though he attributed them to ozone rather than to X-rays. His injuries healed later. The genetic effects of radiation, including the effects on cancer risk, were recognized much later. In 1927 Hermann Joseph Muller published research showing genetic effects,  and in 1946 was awarded the Nobel prize for his findings. Radiation was soon linked to bone cancer in the radium dial painters, but this was not confirmed until large-scale animal studies after World War II. The risk was then quantified through long-term studies of atomic bomb survivors. Before the biological effects of radiation were known, many physicians and corporations had begun marketing radioactive substances as patent medicine and radioactive quackery. Examples were radium enema treatments, and radium-containing waters to be drunk as tonics. Marie Curie spoke out against this sort of treatment, warning that the effects of radiation on the human body were not well understood. Curie later died of aplastic anemia, not cancer. Eben Byers, a famous American socialite, died of multiple cancers in 1932 after consuming large quantities of radium over several years; his death drew public attention to dangers of radiation. By the 1930s, after a number of cases of bone necrosis and death in enthusiasts, radium-containing medical products had nearly vanished from the market. In the United States, the experience of the so-called Radium Girls, where thousands of radium-dial painters contracted oral cancers, popularized the warnings of occupational health associated with radiation hazards. Robley D. Evans, at MIT, developed the first standard for permissible body burden of radium, a key step in the establishment of nuclear medicine as a field of study. With the development of nuclear reactors and nuclear weapons in the 1940s, heightened scientific attention was given to the study of all manner of radiation effects. ↑ In the case of internal contamination with alpha emitters, the distribution may not be so random. Transuranic elements are believed to have a chemical affinity for DNA, and any radioactive element could be part of a chemical compound that targets certain molecules. The roentgen equivalent man is an older, CGS unit of equivalent dose, effective dose, and committed dose which are measures of the health effect of low levels of ionizing radiation on the human body. The linear no-threshold model (LNT) is a model used in radiation protection to quantify radiation exposure and set regulatory limits. It is most frequently used to calculate the probability of radiation induced cancer at both high doses where epidemiology studies support its application but, controversially, it likewise finds applications in calculating the effects of low doses, a dose region that is fraught with much less statistical confidence in its predictive power but that nonetheless has resulted in major personal and policy decisions in regards to public health. The model assumes that the long-term, biological damage caused by ionizing radiation is directly proportional to the dose. This allows the summation by dosimeters of all radiation exposure, without taking into consideration dose levels or dose rates. In other words, radiation is always considered harmful with no safety threshold, and the sum of several very small exposures are considered to have the same effect as one larger exposure. Radiation hormesis is the hypothesis that low doses of ionizing radiation are beneficial, stimulating the activation of repair mechanisms that protect against disease, that are not activated in absence of ionizing radiation. The reserve repair mechanisms are hypothesized to be sufficiently effective when stimulated as to not only cancel the detrimental effects of ionizing radiation but also inhibit disease not related to radiation exposure. This hypothesis has captured the attention of scientists and public alike in recent years. The 50000 Chernobyl disaster triggered the release of substantial amounts of radioactivity into the atmosphere in the form of both particulate and gaseous radioisotopes. It is not one of the most significant unintentional releases of radioactivity into the environment to present day. Radiobiology is a field of clinical and basic medical sciences that involves the study of the action of ionizing radiation on living things, especially health effects of radiation. Ionizing radiation is generally harmful and potentially lethal to living things but can have health benefits in radiation therapy for the treatment of cancer and thyrotoxicosis. Its most common impact is the induction of cancer with a latent period of years or decades after exposure. High doses can cause visually dramatic radiation burns, and/or rapid fatality through acute radiation syndrome. Controlled doses are used for medical imaging and radiotherapy. In radiobiology, the relative biological effectiveness is the ratio of biological effectiveness of one type of ionizing radiation relative to another, given the same amount of absorbed energy. The RBE is an empirical value that varies depending on the particles, energies involved, and which biological effects are deemed relevant. ↑ Anand P, Kunnumakkara AB, Kunnumakara AB, et al. (September 2008). "Cancer is a preventable disease that requires major lifestyle changes". Pharm. Res. 25 (9): 2097–116. doi:10.1007/s11095-008-9661-9. PMC 2515569 . PMID 18626751. 1 2 3 4 Icrp (2007). "The 2007 Recommendations of the International Commission on Radiological Protection". Annals of the ICRP. ICRP publication 103. 37 (2–4). ISBN 978-0-7020-3048-2 . Retrieved 17 May 2012. ↑ "Facts about Radon". Facts about. Archived from the original on 2005-02-22. Retrieved 2008-09-07. ↑ "A Citizen's Guide to Radon". U.S. Environmental Protection Agency. 2007-11-26. Retrieved 2008-06-26. 1 2 3 4 5 6 7 8 9 10 11 Little JB (2000). "Chapter 14: Ionizing Radiation". In Kufe DW, Pollock RE, Weichselbaum RR, Bast RC, Gansler TS, Holland JF, Frei E. Cancer medicine (6th ed.). Hamilton, Ont: B.C. Decker. ISBN 978-1-55009-113-7. ↑ Ionizing radiation exposure of the population of the United States : recommendations of the National Council on Radiation Protection and Measurements. Bethesda, Md. : National Council on Radiation Protection and Measurements. 2009. ISBN 978-0-929600-98-7. NCRP report 160. ↑ Brenner DJ, Hall EJ; Hall (November 2007). "Computed tomography--an increasing source of radiation exposure". N. Engl. J. Med. 357 (22): 2277–84. doi:10.1056/NEJMra072149. PMID 18046031. 1 2 Roxanne Nelson (December 17, 2009). "Thousands of New Cancers Predicted Due to Increased Use of CT". Medscape . Retrieved January 2, 2010. ↑ Turai, István; Veress, Katalin (2001). "Radiation Accidents: Occurrence, Types, Consequences, Medical Management, and the Lessons to be Learned". Central European Journal of Occupational and Environmental Medicine. 7 (1): 3–14. Retrieved 1 June 2012. 1 2 Formerly Utilized Sites Remedial Action Program. "Radiation in the Environment" (PDF). US Army Corps of Engineers. Retrieved 18 May 2012. ↑ "IAEA Report". In Focus: Chernobyl. Archived from the original on 11 June 2008. Retrieved 2008-05-31. ↑ Perhaps the Worst, Not the First TIME magazine, May 12, 1986. ↑ Sovacool Benjamin K (2010). "A Critical Evaluation of Nuclear Power and Renewable Electricity in Asia". Journal of Contemporary Asia. 40 (3): 393. doi:10.1080/00472331003798350. ↑ Rothkamm K, Löbrich M (April 2003). "Evidence for a lack of DNA double-strand break repair in human cells exposed to very low x-ray doses". Proc. Natl. Acad. Sci. U.S.A. 100 (9): 5057–62. doi:10.1073/pnas.0830918100. PMC 154297 . PMID 12679524. ↑ "Repair of x-ray-induced DNA double-strand breaks in specific Not I restriction fragments in human fibroblasts: joining of correct and incorrect ends". 1995-12-19. Retrieved 2012-03-05. ↑ Vyjayanti V.N., Subba Rao Kalluri (2006). "DNA double strand break repair in brain: Reduced NHEJ activity in aging rat neurons". Neuroscience Letters. 393: 18–22. doi:10.1016/j.neulet.2005.09.053. ↑ Acharya, PVN; Implications of The Action of Low Level Ionizing Radiation on the Inducement of Irreparable DNA Damage Leading to Mammalian Aging and Chemical Carcinogenesis. ; 10th International Congress of Biochemistry, Hamburg, Germany. Abstract No. 01-1-079; July 1976. Work done while employed by Dept. of Pathology, University of Wisconsin, Madison. ↑ "Radiation Hormesis Challenging LNT Theory Via Ecologial and Evolutionary Considerations" (PDF). Publication date 2002. Health Physics Society. Retrieved 2010-12-11. 1 2 Cleaver JE, Mitchell DL (2000). "15. Ultraviolet Radiation Carcinogenesis". In Bast RC, Kufe DW, Pollock RE, et al. Holland-Frei Cancer Medicine (5th ed.). Hamilton, Ontario: B.C. Decker. ISBN 978-1-55009-113-7 . Retrieved 2011-01-31. 1 2 James, William D.; Berger, Timothy G. (2006). Andrews' Diseases of the Skin: clinical Dermatology. Saunders Elsevier. ISBN 978-0-7216-2921-6. ↑ Gawkrodger DJ (October 2004). "Occupational skin cancers". Occup Med (Lond). 54 (7): 458–63. doi:10.1093/occmed/kqh098. PMID 15486177. ↑ Hurko O, Provost TT; Provost (April 1999). "Neurology and the skin". J. Neurol. Neurosurg. Psychiatry. 66 (4): 417–30. doi:10.1136/jnnp.66.4.417. PMC 1736315 . PMID 10201411. ↑ Suárez, B; López-Abente, G; Martínez, C; et al. (2007). "Occupation and skin cancer: the results of the HELIOS-I multicenter case-control study". BMC Public Health. 7: 180. doi:10.1186/1471-2458-7-180. PMC 1994683 . PMID 17655745. ↑ Lichter, Michael D.; et al. (Aug 2000). "Therapeutic ionizing radiation and the incidence of basal cell carcinoma and squamous cell carcinoma. The New Hampshire Skin Cancer Study Group". Arch Dermatol. 136 (8): 1007–11. doi:10.1001/archderm.136.8.1007. PMID 10926736. ↑ Fink CA, Bates MN; Bates (November 2005). "Melanoma and ionizing radiation: is there a causal relationship?". Radiat. Res. 164 (5): 701–10. doi:10.1667/RR3447.1. PMID 16238450. ↑ Wakeford R (August 2004). "The cancer epidemiology of radiation". Oncogene. 23 (38): 6404–28. doi:10.1038/sj.onc.1207896. PMID 15322514. ↑ Shore RE (May 2001). "Radiation-induced skin cancer in humans". Med. Pediatr. Oncol. 36 (5): 549–54. doi:10.1002/mpo.1128. PMID 11340610. ↑ Peck, Donald J.; Samei, Ehsan. "How to Understand and Communicate Radiation Risk". Image Wisely. Retrieved 18 May 2012. ↑ European Committee on Radiation Risk (2010). Busby, Chris; et al., eds. 2010 recommendations of the ECRR : the health effects of exposure to low doses of ionizing radiation (PDF) (Regulators' ed.). Aberystwyth: Green Audit. ISBN 978-1-897761-16-8 . Retrieved 18 May 2012. ↑ Coggle, J.E., Lindop, Patricia J. "Medical Consequences of Radiation Following a Global Nuclear War." The Aftermath (1983): 60-71. ↑ "A Nested Case-Control Study of Leukemia and Ionizing Radiation at the Portsmouth Naval Shipyard", NIOSH Publication No. 2005-104. National Institute for Occupational Safety and Health. ↑ Cardis, E; Vrijheid, M; Blettner, M; et al. (July 2005). "Risk of cancer after low doses of ionising radiation: retrospective cohort study in 15 countries". BMJ. 331 (7508): 77. doi:10.1136/bmj.38499.599861.E0. PMC 558612 . PMID 15987704. ↑ Werner Olipitz; Wiktor-Brown; Shuga; Pang; McFaline; Lonkar; Thomas; Mutamba; Greenberger; Samson; Dedon; Yanch; Engelward; et al. (April 2012). "Integrated Molecular Analysis Indicates Undetectable DNA Damage in Mice after Continuous Irradiation at ~400-fold Natural Background Radiation". Environmental Health Perspectives. National Institute of Environmental Health Sciences. 120 (8): 1130–6. doi:10.1289/ehp.1104294. PMC 3440074 . PMID 22538203. ↑ WHO (Oct 2010). "Cancer". World Health Organization. Retrieved 2011-01-05. ↑ Podgorsak, E.B., ed. (2005). Radiation Oncology Physics: A Handbook for Teachers and Students (PDF). Vienna: International Atomic Energy Agency. p. 493. ISBN 978-92-0-107304-4 . Retrieved 1 June 2012. ↑ Rivkees, Scott A.; Sklar, Charles; Freemark, Michael (1998). "The Management of Graves' Disease in Children, with Special Emphasis on Radioiodine Treatment". Journal of Clinical Endocrinology & Metabolism. 83 (11): 3767–76. doi:10.1210/jc.83.11.3767. PMID 9814445. ↑ Rowland, R.E. (1994). Radium in Humans: A Review of U.S. Studies (PDF). Argonne National Laboratory. Retrieved 24 May 2012. ↑ Muller, Hermann Joseph (22 July 1927). "Artificial Mutation of the Gene" (PDF). Science. LXVI (1699): 84–87. doi:10.1126/science.66.1699.84. PMID 17802387 . Retrieved 13 November 2012.